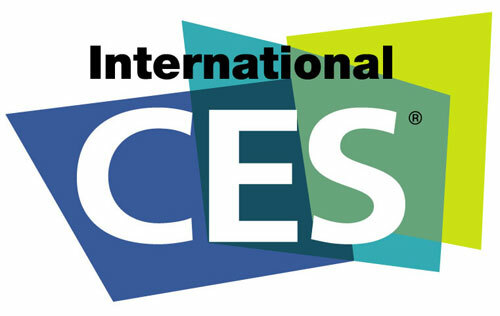 2012 CES Prediction: What to Expect in Las Vegas? Every year, almost all of the big gadget companies gather in Las Vegas for the Consumer Electronics Show (CES) to show off all the new technologies and products they have planned for the next year and beyond. There’s bound to be an ocean of tech-related news over the next few days — more than you can possibly navigate — so we’re rounding up our predictions about the trends that will be most important at the show. Microsoft will promote Windows 8 operating system in 2012 CES. It is expected that Windows 8 OS will launch next year which is remarked as an important part of Microsoft’s future strategy. It remains unknown what will exactly happen to Microsoft if without this type of operating system. However, Microsoft will not spend too much time on Windows 8 operating system but Windows 8 tablet PC instead. Microsoft hopes to ease the investors by rolling out Windows 8 tablet PC. Earlier this year, Microsoft announced to open its Kniext game player to PC developer so as to allow developers improve the related applications. Microsoft may focus on this matter and will show the new processes Kinect brings to the PC world. All topics in the filed of tablet computer are almost about dual-core processor this year, but next year tablet computer manufacturers is going to launch tablet PC running on quadcore processor. The tablet computer performance is expected to be far more than dual-core tablet computer. Samsung, HTC and more manufacturers are expected to display many quadcore PCs in next year’s CES. In addition to quadcore tablet PC, 2012 CES is said to be the best opportunity to launch quadcore smartphone. Currently, Apple dominates a leading position in the market with iPhone 4S, and at the same time, a large number of competitors are looking for opportunities, trying to beat Apple. So next year’s CES will be a good chance for these competitors to achieve this goal and quadcore smartphones will be their chips. Apple will not appear on the CES next year, so it brings a great opportunity to Android mobile phone manufacturers to show their products. Every year Android lives in the shadow of iPhone and now it is time to unveil the shadow. 2012 CES will continue to provide the opportunity for Android manufacturers. HDTV market is expected to get a new development opportunity in 2012. TV producers including Samsung, Vizio and more will display their producers respectively on 2012 CES. A related new technology called 4K is expected to be used by providers, which will greatly improve image resolutions and clarity. In addition, rumors said Apple is also considering launching its own TV products and the market will be in a more intense situation. Ultrabook will be the new generation of product in the Mobile computing field. This light and ultra-thin laptop will be the biggest competitor for Apple MacBook Air. However, Ultrabook is very expensive so far and the performance is far behind Apple laptop. Even so, Ultrabook manufacturers will show the ability to change the current situation. Chromebook must not be forgotten, in fact, it is the right computer running on Google Chrome operating system. Earlier this year, Google has cooperated with hardware manufacturers with the aim to launch Chromebook PC. Although Chromebook is not the most successful product in the market, it still has potential. Maybe big sellers will try to prove this product on CES. Participants have been hoping to find some new game hardware on CES. It is forecasted that Sony or Microsoft may display their new generation of game machines on CES next year, but the product specifications still remain unknown. A few years ago, net books are the hottest product in this filed, but now with the rise of tablet PC, netbook is already on the decline. PC manufacturers have acknowledged that net book is already in the state of death so there will be not netbook showing on CES 2012.